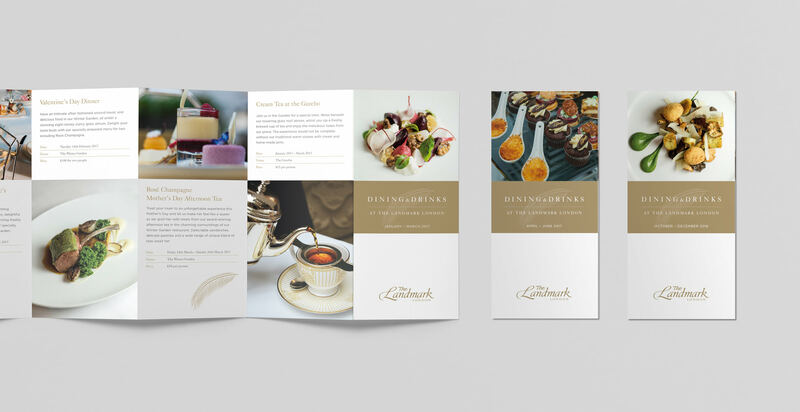 Various marketing literature for the iconic London luxury five red star hotel. The Landmark London opened in 1899 and is one of London's most iconic hotels. Based in Marylebone they combine timeless British elegance with 5 star luxury. They rank among the finest of the capital’s leading luxury hotels in London. We have worked with The Landmark London for over 10 years on a variety of high-end design projects all of which reflect their distinctive style and ambience that makes them unique. 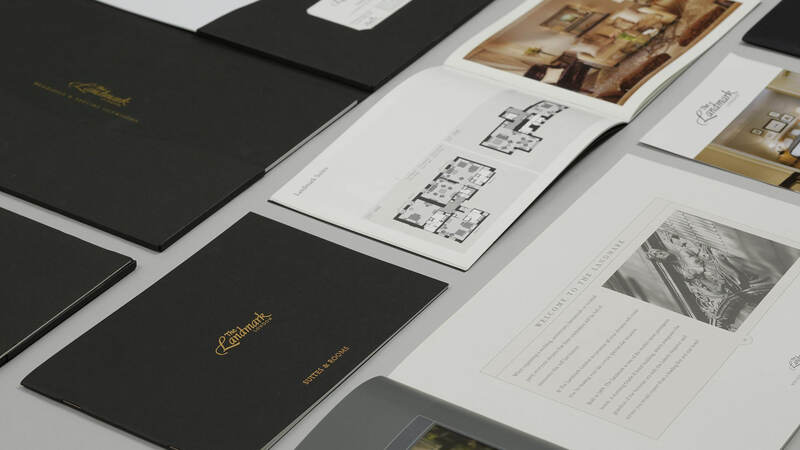 The scope of the projects has included their room and restaurant literature, quarterly newsletters, the hotel brochure designs which has included; weddings, suites, the spa and events. 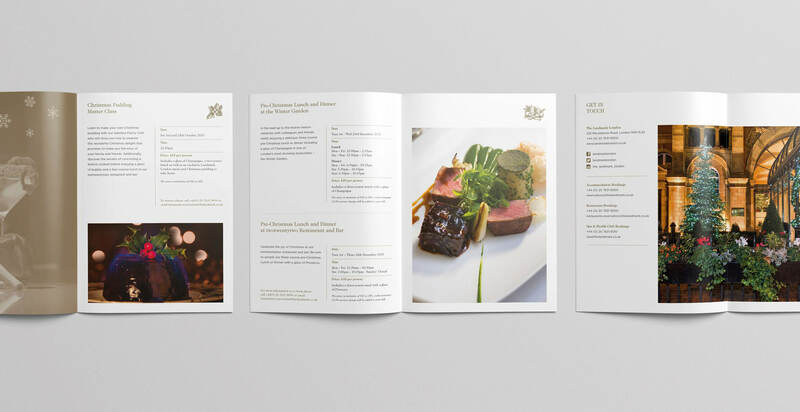 The wedding brochure won the best brochure design at the Meeting Industry Marketing Awards (MIMA).